EVs, Utilities and the Grid: Harmony or Discord? Electric Vehicles (EVs) are here to stay. The US saw a spectacular 81% increase in EV sales in 2018, with a host of automakers bringing new EVs onto the market in 2019. What’s more, state climate and air quality mandates mean that millions of new EVs will hit the roads over the coming years. Bloomberg New Energy Finance (BNEF) forecasts global EV sales worldwide growing steadily in the next few years, from the record 700,000 seen in 2016 to 3 million by 2021—the equivalent of adding 12GW of potential demand per year. Unfortunately this growth isn’t steady or even; it’ll accelerate faster in different neighborhoods, putting asymmetrical strain on local transformers and substations. Even if EV adoption has not yet reached critical mass in your service territory, it will in the near future and now is the time to address the needs of the evolving grid. The question is, how will you integrate this massive and dynamic increase in daily loads while maintaining grid stability and ensuring a positive customer experience? Residential EV chargers are served by low voltage distribution networks that weren’t built with EV loads in mind. Many utilities are already challenged by a misalignment between daily system load shape and available capacity. If handled incorrectly, EVs could sow discord on the grid. EV charging can amplify evening peaks, but it can also help balance demand during periods of high supply. You will need analyzing locational impacts of EV charging, while helping customers navigate complex price signals. Bidgely puts simple and scalable load research solutions in the hands of your analysts and grid planners, giving them the tools they need to address local capacity issues and design the next generation of customer rate plans. Early EV adoption happened outside of utility sightlines. Many utilities are now in the process of trying to determine which homes have an EV in the driveway. This need will continue. You need to be able to continuously identify residential EV charging across your service territory to manage load effectively and understand how to target EV rate plans and incentives. This has become far easier thanks to artificial intelligence (AI)-driven disaggregation technology. With the right AI solution, the unique load signature of vehicle charging can be detected scalably and updated frequently. You can even discern which neighborhoods are adding EV capacity. Now that you have identified which of your customers have EVs, when they are charging, and what the impact is to your system, the hard work of engaging and influencing customers begins. But with that hard work comes tremendous value: you can drive customers toward new EV rate plans to lower their cost to the grid, and share that benefit with them through incentives or low cost off-peak charging. Building this into your customer engagement efforts may seem daunting, or require time that your team can’t spare, but utilizing an engagement platform that can tap into EV detection insights will eliminate the extra effort. Bidgely’s omni-channel platform delivers personal, actionable, and timely EV information to your customers. As EV adoption accelerates, automation will be critical. As two-way communications with chargers becomes ubiquitous, utilities will look to enroll an increasing number of EV owners into managed smart charging programs that utilize vehicles as a dispatchable load resource. Bidgely’s AI-enabled engagement solutions can help target and enroll customers in these offers, whether managed directly by your utility or one of Bidgely’s controls partners. 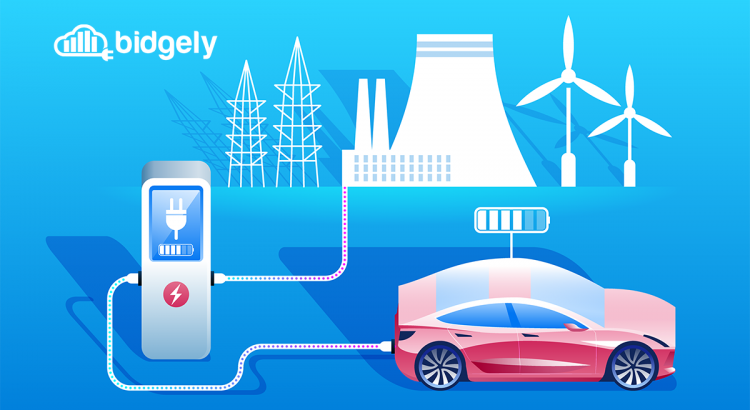 Whether you’re already feeling the strain of EVs on load management, or just seeing them on the horizon, AI-enabled solutions are the foundation for successful analysis, planning and engagement and Bidgely’s Insights Engine is the utility tool of choice.